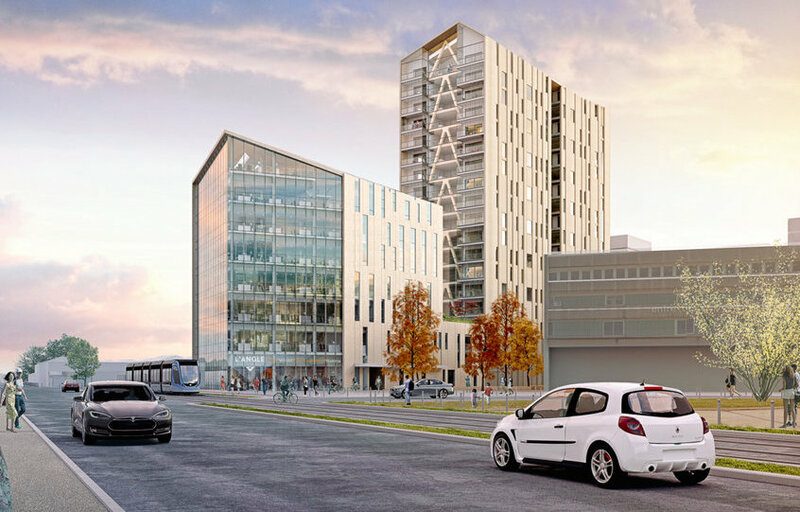 EPA Bordeaux Euratlantique has chosen the project Silva to be constructed in Bordeaux. The date of completion is scheduled in 2020. The project consists of three buildings, including the tower Silva, with a height of 50 m and 18 floors, and to be constructed in 80 % wood. The team is led by Kaufman & Broad. D2S International will be responsible for the acoustic studies. The project will contain housing, offices, shops and a car park. Consultants: Egis, Socotec, D2S, Qualiconsult. Constructors: Groupe GA, Integral Bois System, Sacba, Techniwood.